Wetter et al. 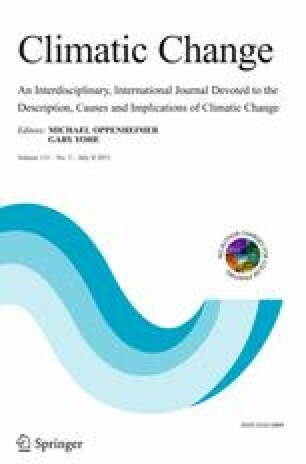 (2014; hereinafter W14) conclude that western Europe experienced significantly higher temperatures in AD 1540 compared to all other years in the instrumental record, including the summer heat waves of 2003 and 2010 (Schär et al. 2004; Barriopedro et al. 2011). Based on 300+ first-hand documentary weather reports, the authors argue that large parts of Europe were hit by an unprecedented, 11-month-long, ‘Megadrought’ in 1540 exceeding all recorded and reconstructed levels, and falling outside the probability range of state-of-the-art palaeoclimate model simulations. Despite compiling, transforming and interpreting an exceptional pool of documentary evidence, W14 neglected to systematically analyse the existing collection of European tree ring-based climate reconstructions. An independent comparison of their findings from societal entries against natural proxy archives, however, would have been beneficial. For example, Pauling et al. (2006), already identified low precipitation amounts in 1540 derived mainly from tree-ring analyses, a study not cited in W14. In this reply we look into some of the tree-ring data available back to 1540 and before, and demonstrate that W14’s conclusion regarding the inability of natural proxy archives to record climate extremes is not defensible. An author's reply to this comment is available at http://dx.doi.org/10.1007/s10584-015-1429-8. This comment refers to the article available at: http://dx.doi.org/10.1007/s10584-014-1184-2. Edward R. Cook, Director of the LDEO Tree-Ring Laboratory at Columbia University, USA kindly commented on an earlier manuscript version. UB and MH were supported by the Czech project ‘Building up a multidisciplinary scientific team focused on drought’ (No. CZ.1.07/2.3.00/20.0248).